I've been trying to perfect crispy tofu for what seems like forever! Tofu is most delicious, in my opinion, when it's crispy on the outside yet still soft on the inside but it can be tricky to get that combination right. 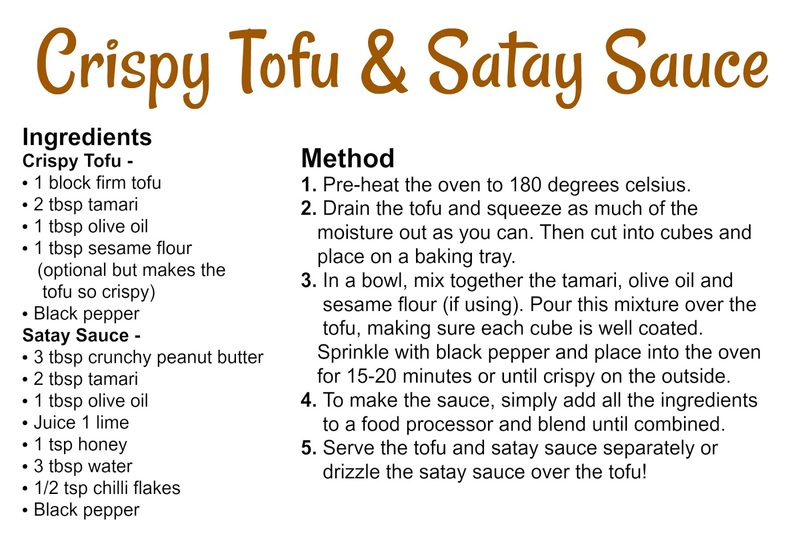 My tofu never seems to go crispy enough, but I've discovered a secret ingredient that makes the crispiest, tastiest tofu ever and I just had to share it with you! 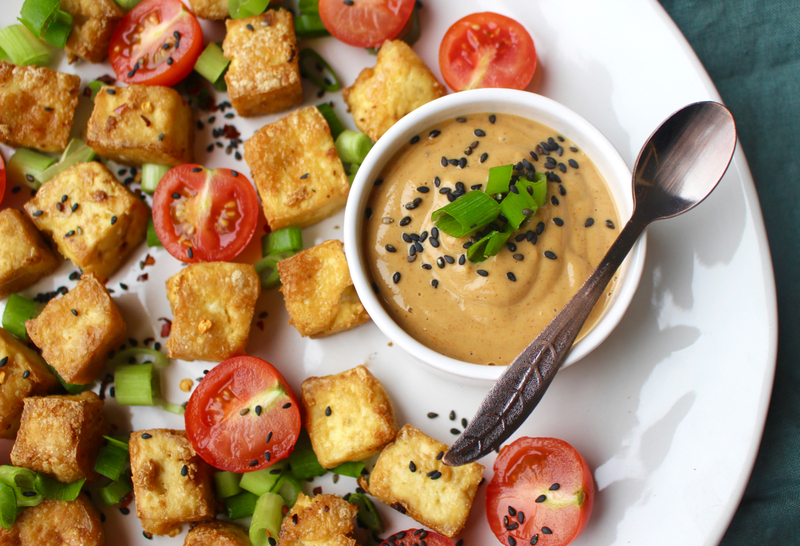 This simple yet game-changing recipe for crispy tofu and a wonderful peanut satay sauce is my new favourite thing.The satay sauce drizzled over this cubes of crispy tofu is undeniably more-ish! 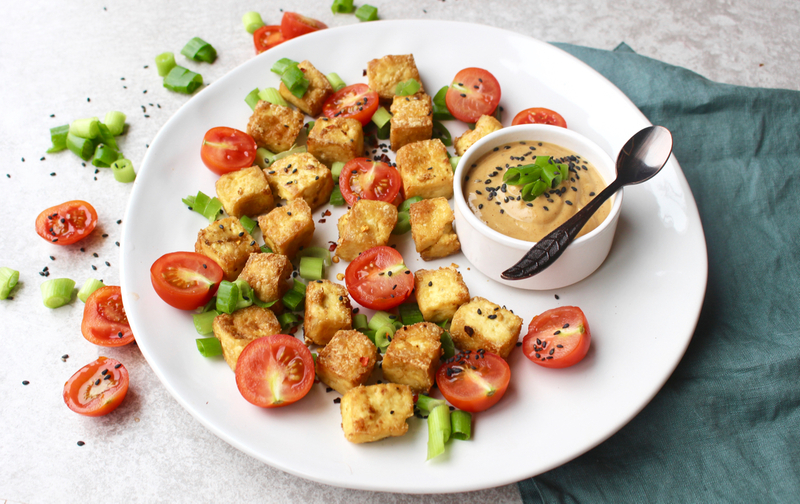 The secret ingredient to make the tofu this crispy is sesame flour! I got mine from Sukrin but you could also just blend sesame seeds in a high-power blender and create the same thing. I find the sesame flour adds an amazing texture to the outside of the tofu too and adds to that Asian style vibe I was going for. The satay sauce is a new invention of mine but I can tell I'm going to make it again and again! It's super quick and easy to make but really adds something special to this recipe and pairs perfectly with the tofu or works like a dream drizzled over a stir fry.